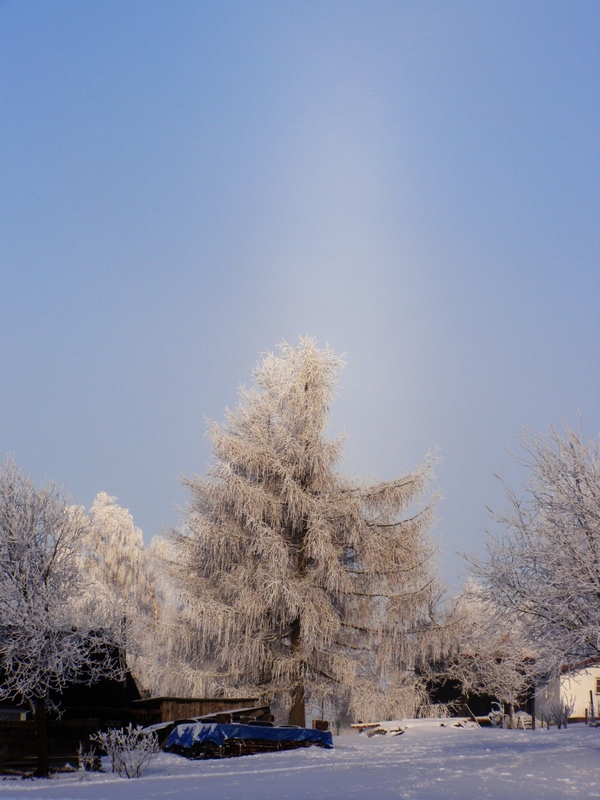 A superb halo complex was observed by Petr Kousal on December 25, 2007 in community of Prichovice. He observed 22° halo, parhelia, pillar and also bright upper tangent arc with sunvex Parry arc. 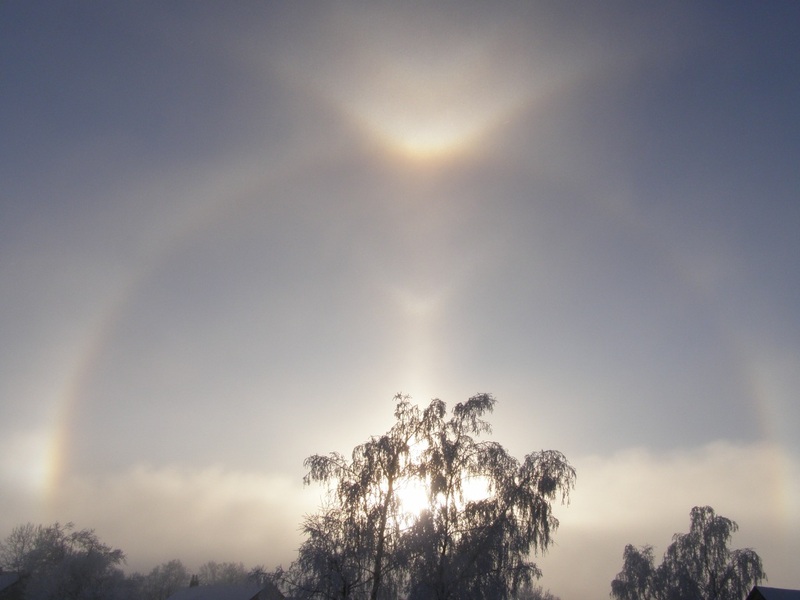 Except for these quite frequent phenomena he observed also Moilanen arc, which tips almost touched the 22° halo ( 1 - 2 - 3 - 4 ). The best event came when he looked towards anthelion point, where diffuse arcs were clearly visible. 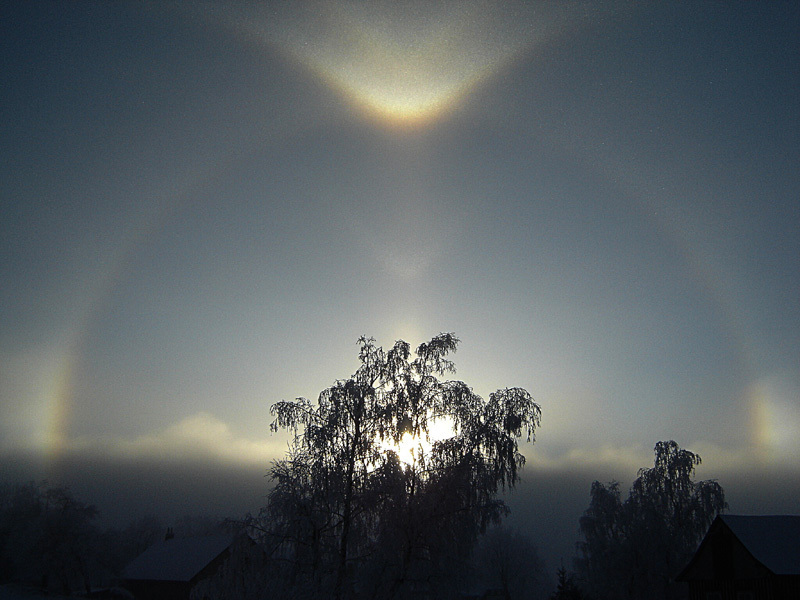 This observation of diffuse arcs is the first in the Czech Republic ( 1 - 2 - 3 ). This display was also captured by Martina Pistorova during her afternoon walk to the outlook-tower Stepanka in Prichovice ( 1 ). 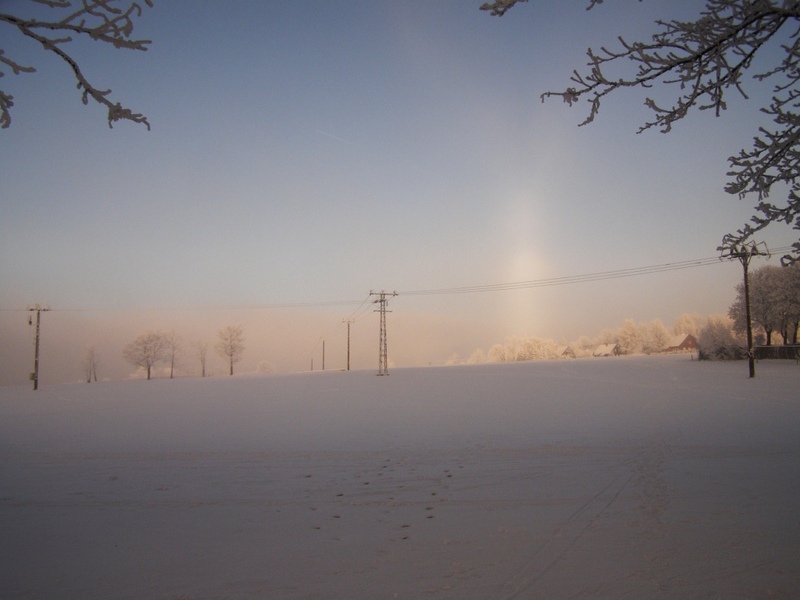 Analogous halo complex with Moilanen arc was also observed and photographed by Frantisek Kovarik in community Prichovice ( 1 ). 3 arc, one by one... WoW! 2Marko. Look at my blog, may be some pictures will be intesting to make digest.